David L. Cowles,79, passed away on Tuesday, November 13, 2018. David was born on June 25, 1939, to Milton Samuel and Lavernia Kirk Cowles in Mokelumne Hills, California, where he spent his early years. At age 9 he sailed with his family on a freight boat to Hong Kong, China, where they served for four years as missionaries before they had to return to the States because of World War II. He graduated from high school in Los Angeles, California, and Pacific Bible College, now Azusa University. He traveled with the Envoys Quartet on full scholarship. In 1961 he married Beverly A. Cowles of Memphis, Tennessee. Together they served over 12 years with World Gospel Mission in homeland ministries. He received a Master of Arts Degree from Ashland Theological Seminary and a Master of Divinity Degree from Methodist Theological Seminary. He obtained certification as a chaplain at Baptist Medical Center in Birmingham. He received ordination with the United Methodist Church. David wore many hats. David pastored churches in Pennsylvania and Ohio. He was a hospital chaplain at Timken Mercy Medical Center in Canton, OH. He was known as the singing chaplain and sang in hundreds of concerts. He also wrote a weekly newspaper column for a number of years in Ohio newspapers. 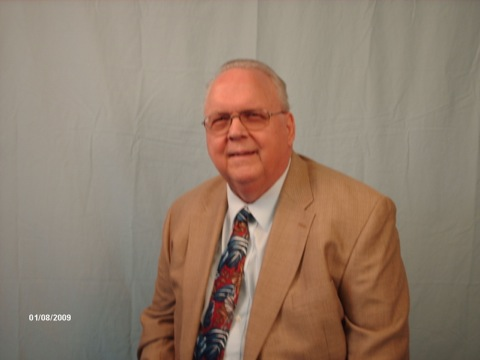 Since moving to Florida to retire in 2005, he has served as a chaplain at Oaks at Avon, in prison ministry at Avon Park Correctional Institution, on the Highlands County Homeless Coalition, and as publicity and program director for the Avon Park Holiness Camp. He is preceded in death by his parents, Milton and Lavernia Cowles, brother C. S. Cowles, sister Barbara Cowles and twin brother Daniel Cowles. David is survived by his wife of 57 years Beverly, his son Michael (Marsha) Cowles of Avon Park, FL; daughter Kristina Brooks (Evan) of Kansas City, MO; granddaughter Kaitlyn Riffe (Spencer) Lees, Summit, MO; grandsons Christian Burnside and Noah Burnside of Raytown, MO; and great granddaughters Amelia and Thea Riffe, Lees, Summit, MO. A memorial service will be held on December 1 at 10:30 a.m. at South Lake Wales Church of God. In lieu of flowers, the family suggests a contribution to Avon Park Holiness Camp, a ministry to which David devoted much of his time. The family is requesting no flowers to be sent, the church will be decorated already for the Christmas season.